Feltia subterranea - Hodges#10664 (Subterranean Dart). Size: approx. 15 mm. Photo: 08/14/14, 10 pm. 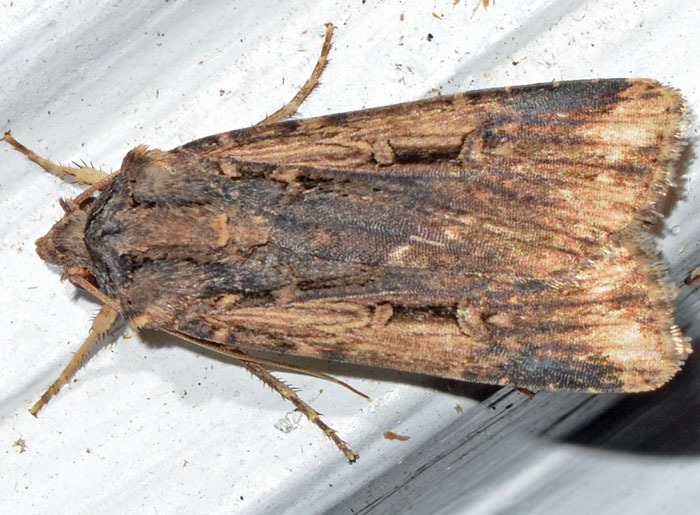 The Subterranean Dart (also known as Granulate Cutworm) is very common in the Southern US. The larvae can cause damage by cutting off small plants near the ground. They feed on a variety of plants including agricultural relevant vegetable plants. Adults fly year round in the South.